It was cheered and embraced with enthusiasm bordering on self-praise: Admiral Harry B. Harris, Jr. of the Pacific Fleet would be making his way to Canberra to assume the post of US Ambassador. Washington had supposedly appointed a big fish to monitor even smaller creatures in the Pacific. But Harris was never going to take up a position vacant since 2016, instead finding himself making his way to a far more significant, and timely posting: Seoul. The Australian press subsequently seethed and berated, appalled that their standing as sub-regional policemen had somehow gone unacknowledged. 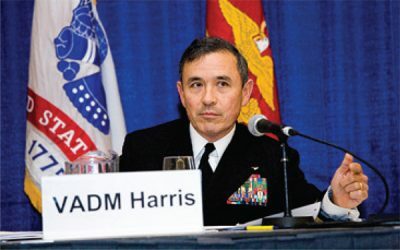 For Tillett, Harris’s re-routed appointment to Seoul did make some sense, at least at the superficial level: the admiral was “a tough cookie” who would be keeping an eye on the upcoming Donald Trump-Kim Jong Un show. Australia’s Prime Minister, Malcolm Turnbull, made the usual intimations. Not one to talk up South Korea in this instance, evidently. Australia’s former Deputy Prime Minister Tim Fischer was not feeling as charitable. Others were not so sure about Harris to begin with, a point in keeping with the lowly station of an appointment to the antipodes. There were other options in the wings, and certainly ones more adapted to Australia’s specific circumstances. Powers feeds his readers a few insights. One is the unspoken assumption of durability, the relationship that is beyond question. This presents its own problems, since such a relationship could well do with a good deal of questioning, notably given the increasingly fractious nature of the Asian-Pacific area. Canberra’s all too enthusiastic marching to scripts dictated in Washington seems fraught and mildly suicidal. The late Malcolm Fraser was particularly sharp on that score, claiming that the culture of strategic dependence had essentially infantilised Australia. Some in book chat land have also pushed the view for a more detached line, a thinning of the umbilical cord with the US imperium, though it comes with the humbling admission that the policy debate has remained unaltered. An obvious choice would be the man holding the reins as Chargé d’Affaires, a career diplomat who long held relations with the Philippines, Malaysia, Brunei, Singapore, Indonesia and East Timor within his purview at the US State Department. But no one has, as yet, put forth the name of James Carouso, an important figure of the team behind negotiating the Australia-US Free Trade Agreement. Common ground between US and Australian public thinkers and tankers can be found in the perhaps disconcerting fact that Canberra doesn’t need an ambassador of full rank, whatever the promises to find one might entail. Why bother with the ceremony? Protectorates and vassal states rarely do. Former national security advisor Andrew Shearer was similarly of the view that little would stem from the decision. There was really nothing to see, let alone say. The desperate call for some higher recognition on the part of the Canberra establishment continues to display the resentment that comes with inequality. Retainers can get rather sullen when treated shabbily, though they aren’t likely to go screaming with alarm in the streets. Washington remains the brute partner with girth and heft, while the political establishment in Canberra continues to suffer silently.